Ginger Page for Windows has everything you need to write great English. It includes a full set of features to ensure that you make the most out of all of your written communications. 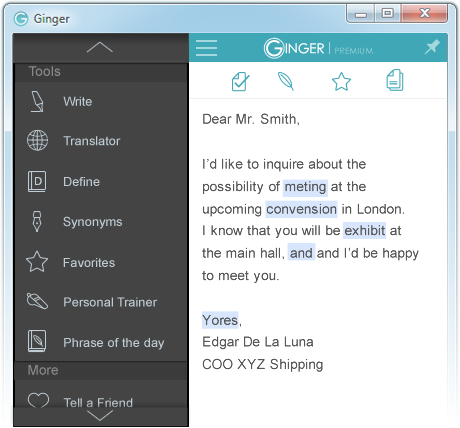 Equally suited for both native and non-native English speakers, you can use Ginger Page to enhance your writing in business correspondence, academic documents and for social writing. Focus on expressing your ideas while Ginger Page ensures that your sentence structure, grammar, spelling and punctuation is perfect. In Word and other Office applications, Ginger Page replaces your default spellchecker and provides live, as you type corrections. Get smart suggestions to rephrase your text that are in line with your intended message. Ginger Page offers you different options that convey your message with more clarity and style. Expand your communication options with easy access to synonyms and word definitions. Quickly translate your text between 40 different languages. Write mixed text or entire messages and then and translate to English or any of the other supported languages. The accuracy of Ginger corrections is second to none. 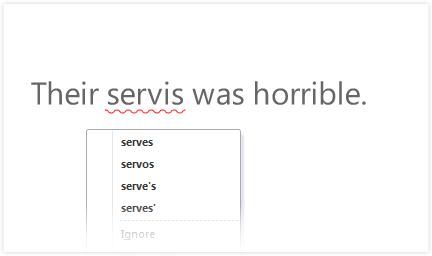 Competing proofreaders, like the one provided by Word, offer you a drop-down list of possible corrections. This method makes it much harder for users who aren’t sure of the right spelling of the word to decide which spelling is correct. Ginger doesn't rely on a static list of possible typos per word, but rather looks at the context of the sentence to figure out what you’re trying to say. Ginger provides one correction, but it’s the one that you need! 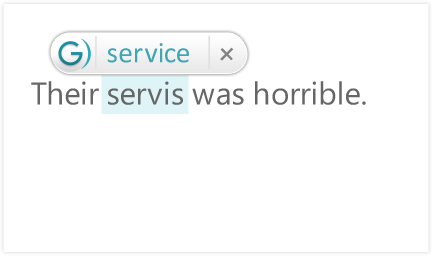 The range of categories and the accuracy of corrections enabled by Ginger are unmatched in the online proofreading realm, making Ginger far superior to the default proofreader provided by Word. Additionally, Ginger page for windows includes a range of writing enhancement tools not available anywhere else. Flawless writing is just a click away!